As a sustainable housing expert I serve the entire Puget Sound region. 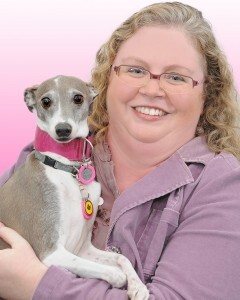 I’ve become known for being green and wearing pink, having a locally famous rescued Italian greyhound named Sophia, and zipping people around and touring real estate in my MINI Cooper called “GRNSTRK” (green streak). I have dedicated my professional work as a real estate broker to showing you how to save money with “that one thing” you can do to make a difference for the Earth and also for your personal bank account. Often the two go hand-in-hand and there’s nothing wrong with that! As a current homeowner and likely future seller I will help you by pointing out the “low hanging fruit”, the budget friendly ways to remodel and upgrade items around the house with an eye on future sales value. You will enjoy a more comfortable and affordable home while you are living in it, and then your home will sell sooner than those on the blocks around you when you do put it on the market. If you are looking to move, I will show you how to identify a healthy home for your family and pets, how to save money by changing a few things around the house, and how to create and enjoy a low-maintenance yard so you have more time with your family. These designations mean I have extensive training in helping individuals or families with chemical sensitivities, asthma sufferers, allergies, or other health concerns 1) buy or 2) create – a healthy home so you can live your life to the fullest. My personal passion and focus is green living – learning how I can “live with myself” and my activities on this planet from a sustainable Earth perspective – and then sharing what I have learned with others through teaching or online media like my blog. I am a take action person and served on the board of directors of P-Patch Trust, trained and volunteered as a Native Plant Steward for the Washington Native Plant Society, was a Creek Site Steward of Longfellow Creek for Seattle Public Utilities, served as a Cedar River Naturalist during the salmon run, and a House Hostess for Southwest Seattle Historical Society’s “Homes with History Tour”. I’ve lived in West Seattle since 1997, but “green” homes are found everywhere so I’ve become very good at analyzing home values and marketability all over the Puget Sound area. I grew up in unincorporated Snohomish County (Monroe schools) but as an adult I’ve personally lived in Everett, Mill Creek, Lake Forest Park, Kirkland, Bellevue, as well as Seattle, so I am pretty comfortable working in these areas. I spent two years touring property in southern King county for my work as a relocation agent/consultant to the Port of Seattle so am also very comfortable in Renton, Kent, Tukwila, Des Moines, Enumclaw, Maple Valley, Newcastle, Issaquah, and Auburn. I was delighted to learn I could buy a Built Green® Certified townhome and stay in West Seattle so in 2007 we sold our home near South Seattle Community College and moved up the hill to the Built Green® Certified Community of High Point. We haven’t looked back since. We love not having yard work anymore and enjoy this nice community when walking the dog and making friends with our many neighbors. On Earth Day in 2007 I launched a green real estate blog (http://www.GreenSpacesRealEstate.com). I found over time that I published about 80% lifestyle information and only about 20% real estate information so in February of 2010 I launched a Facebook Page called Westside Green Living With Wendy. This is so I also wouldn’t be bombarding my 300+ friends on Facebook with so much environmental information – they could “Like” my page if they wanted that information and I reserve only the most astounding of green finds or facts for my Friends news feeds. Please sign up at http://www.facebook.com/WestsideGreenLivingWithWendy for current green lifestyle updates, resources, and my original videos. Just wanted to tell you how much I appreciate your blog! It’s great to be see interesting stories about Washington’s active green building scene. Because of your blog’s emphasis on green building and real estate, I wanted to ask a favor. I’m currently working with a Washington business called the Natural Choice Directory (www.naturalchoice.net). Through their online and print directories, they connect more people in the Pacific Northwest to local businesses that promote an eco-friendly, sustainable and socially-responsible lifestyle. I’d love for you to check out the online version (naturalchoice.net) and let me know what you think. If you think this online resource would be useful for your readers, I’d love for you to include a link to it in your blogroll. Thanks for your time and consideration, I look forward to hearing from you!